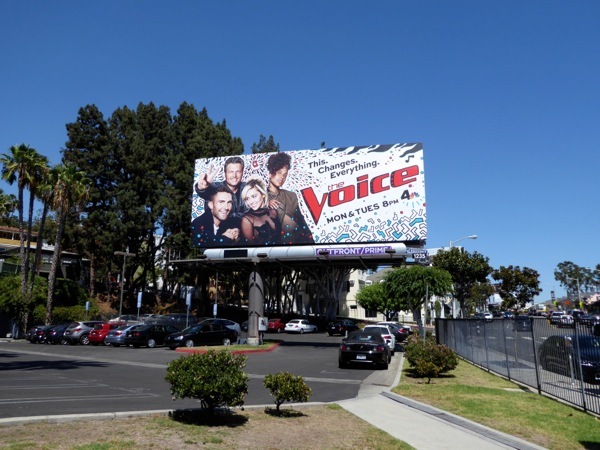 The Fall TV season may be bringing a whole new slew of shows to the small screen, but there are also more than a few favorites returning to entertain the masses, like The Voice, now in its eleventh season on NBC. 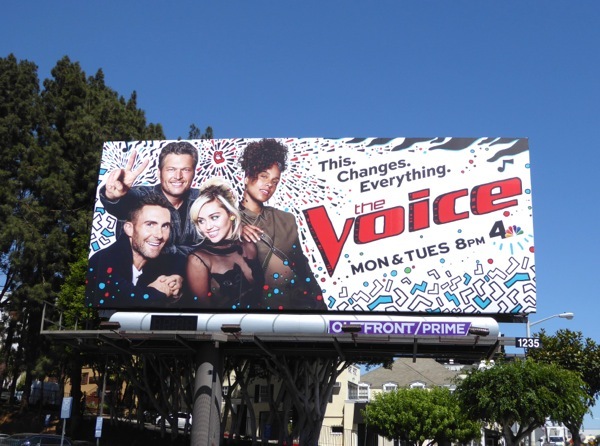 Mixing things up for the reality singing competition this season is the addition of Miley Cyrus and Alicia Keys as coaches, the first time the show has had two women mentors, rather than the token one female. 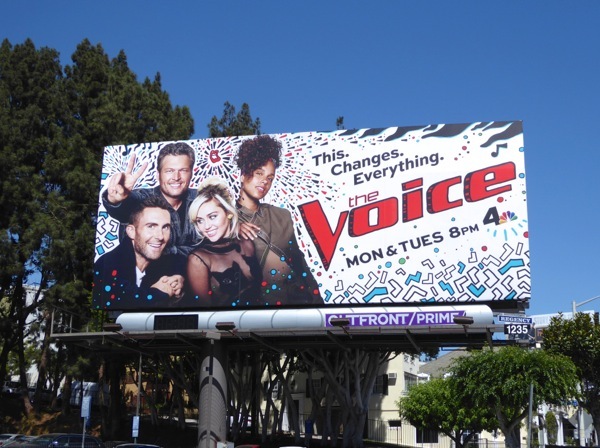 Daily Billboard wonders what these progressive new judges feel about Blake Shelton's recent homophobic and racist remarks. 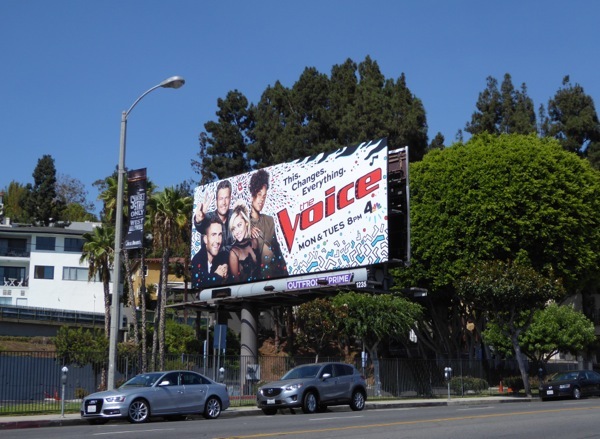 This season eleven billboard was photographed along West Hollywood's Sunset Strip on August 19, 2016, and if you're a fan of the show, make sure you check out all these previous season promo billboards for The Voice from 2011 to date. 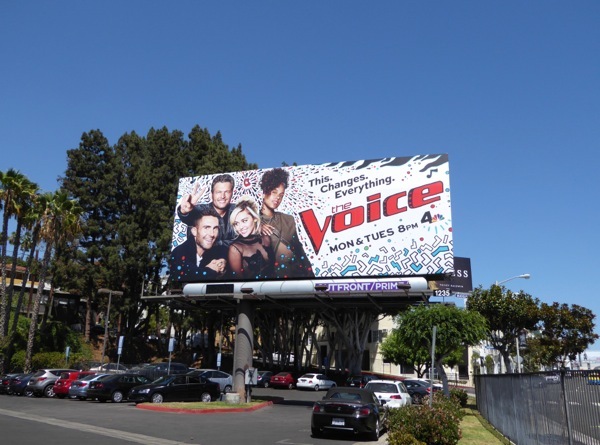 Maybe next season we'll see three female coaches with a token male (Adam Levine) to really make a difference to the show's format, as there are plenty of fierce divas out there who have earned the right.